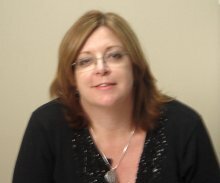 Vicki Darlington is an experienced therapist with 26 years of experience in Occupational and Hand Therapy. She graduated from thr University of Buffalo in New York . She received her CHT certification in 1998 and her Lymphedema Certification in 2004. She has specialized in the treatment of UE Rehabilitation her whole career . Vicki has primarily worked in outpatient clinics and outpatient facilities in hospitals. She currently works in the outpatient Department of Edward White Hospital in St. Petersburg, Florida as the Director of OT. She is very artistic and enjoys drawing,painting and silver-smithing.